Just the name of the state evokes family adventures, beautiful weather, and a host of communities offering a variety of amenities and experiences. Is sunny Florida calling you to enjoy its wealth of options? The proximity of the Atlantic Ocean and the Gulf of Mexico to every spot in the state has much to do with Florida’s delightful climate. That said, the state does get hit by its fair share of hurricanes—also a result of its close relationship with the ocean. In Florida, the theme park options are plentiful and various. The beaches are abundant and beautiful. And the history is rich and fascinating. Sometimes called the “Capital of Latin America,” Miami is an important hub of Hispanic culture, which contributes to the city’s vibrant arts and culture scene. Part of the Paradise Coast in Southwest Florida, Naples brings together white sand beaches, excellent boating, fabulous gold courses, and high end shopping opportunities. Rightfully proud of its arts and culture offerings, Venice is a thriving community with special touches, including an artistically designed landscape featuring beautiful trees and flowers. Known as “Sunshine City,” the St. Petersburg area is home to beaches that rank among the very best in the world. The town is also home to museum devoted to surrealist Salvador Dalí glasswork master Dale Chihuly. 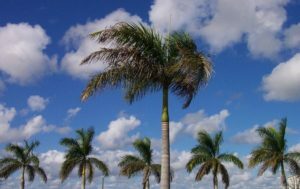 With a renovated downtown waterfront, Fort Myers is popular with those looking for deep sea fishing opportunities as well as those hoping to soak up the sun on a lovely beach. Much more than just a vacation destination, Florida is an appealing location for your second home—particularly if you love the sand, the water, and the sun.